Car accidents often result in whiplash injury, also known as whiplash associated disorder. The sudden strain on the muscles, bones and nerves of the neck result in headaches and pain to the neck and back. While many recover quickly from whiplash, others have a long road to wellness. The initial symptoms may dissipate, but the impact on day-to-day life may not go away. Those with whiplash and soft tissue injuries should be able to rely on insurance benefits to provide peace of mind and financial stability. When those benefits are denied or terminated, injured people need help to get the support they deserve. 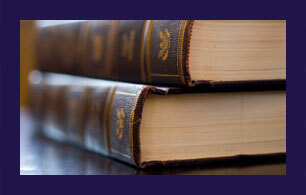 Clonfero Law Firm is committed to helping people to restore their quality of life and peace of mind. We can help restore your peace of mind. Whiplash cannot be seen on a CT scan or MRI, and a doctor normally will not ask for those tests unless a fracture is suspected. Diagnosis comes from an analysis of the patient’s reported symptoms and any incidents such as a car accident, slip-and-fall or sporting injury that may have resulted in a violent jarring of the head and neck. Those with chronic whiplash may experience symptoms for six months or more. During this time, their ability to work or care for loved ones is impacted. Some may have to reduce to part-time hours because they cannot work for long periods of time without extreme discomfort. Doctors may recommend physiotherapy or other paramedical treatment, which can be an additional expense when income is already limited. Our lawyers in Toronto help whiplash sufferers to access the right medical care, treatment and financial support they need to have the strongest possible recovery. If you have a neck injury caused by a car accident or other sudden impact, call us for legal guidance. Contact us at 416-703-2077 in Toronto or 1-416-703-2077 toll free in Ontario or send us an email.